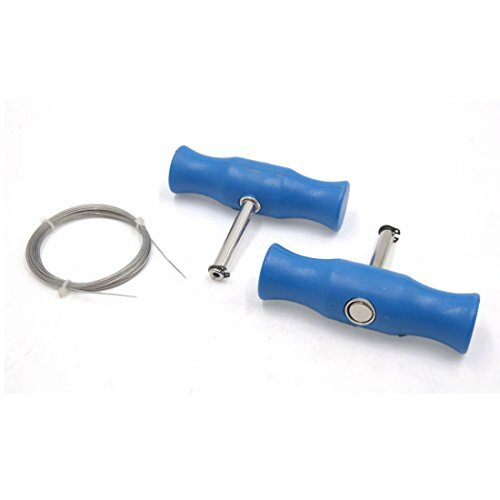 Non-slip corrugated design wire gripping handles. Excellent tool for removing the windshield. Feed the wire through the hole in the wedge shaft. Loop it through the hole at the top of the shaft. Then back into the handle. Pressing the wedge back into the handle, the wire is held. Removal of rigidly-bonded automobile windows glasses, windshield glasses and back glasses.